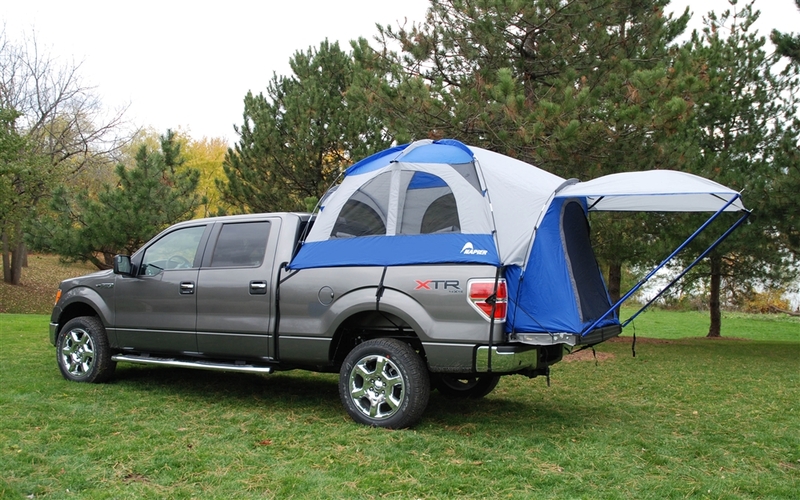 Set up camp wherever your truck will take you with the only truck tent on the market with a patented sewn in floor! 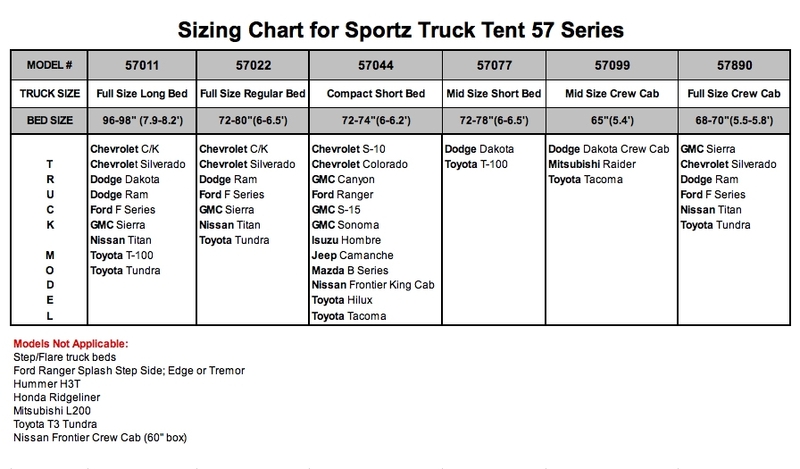 The Sportz Truck Tent III allows you to sleep high and dry off the cold, dirty ground and in the bed of your truck. It sets up in just 10 minutes in the back of your open-bed pickup, creating a comfortable, restful sleeping area for two people with over 5.5 ft. of headroom. 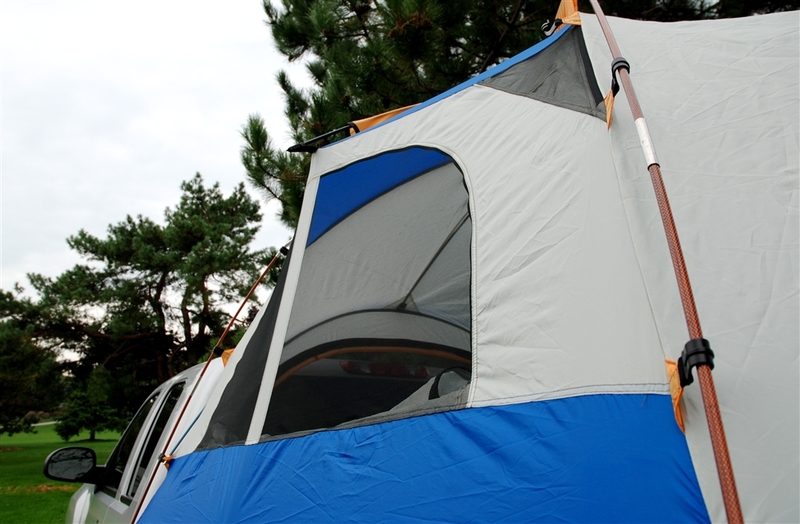 Shock-corded fiberglass poles and tent sleeves are color coded for fast, hassle-free setup. 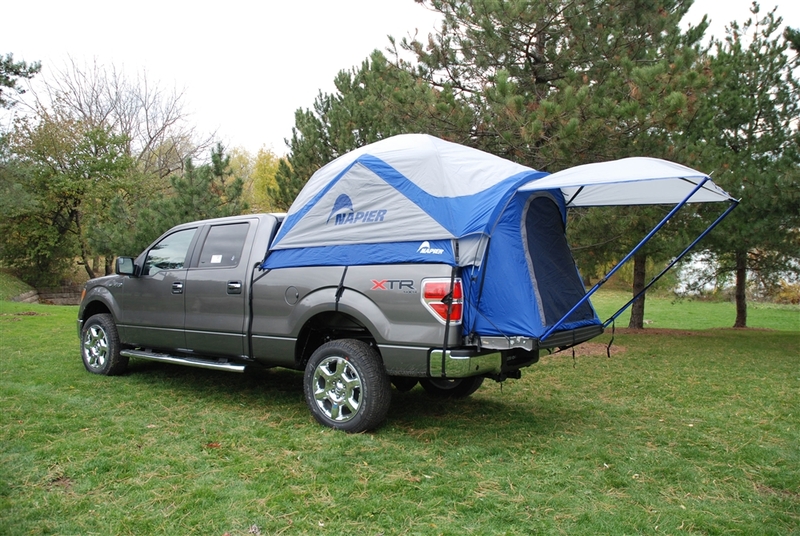 The tent’s bed straps and an interior support pole adds strength allowing it to stay secure in the bed of he truck during storms. 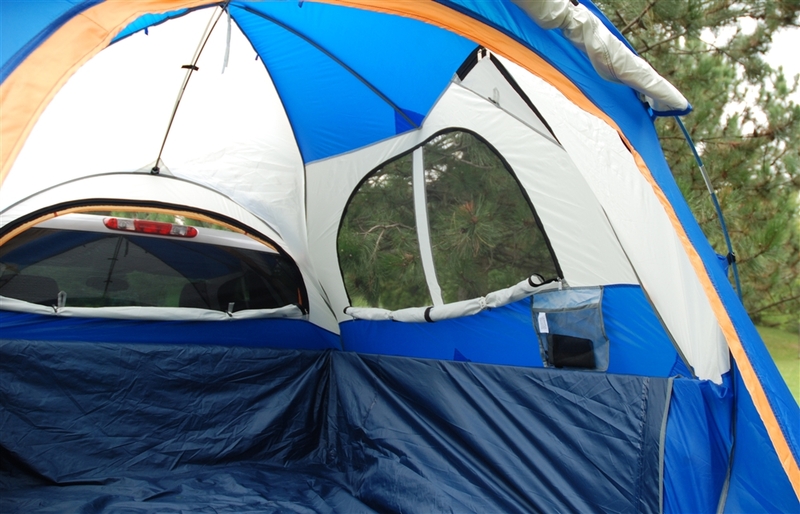 Two large No-See-Um mesh windows and two ceiling vents deliver excellent ventilation on warm nights. 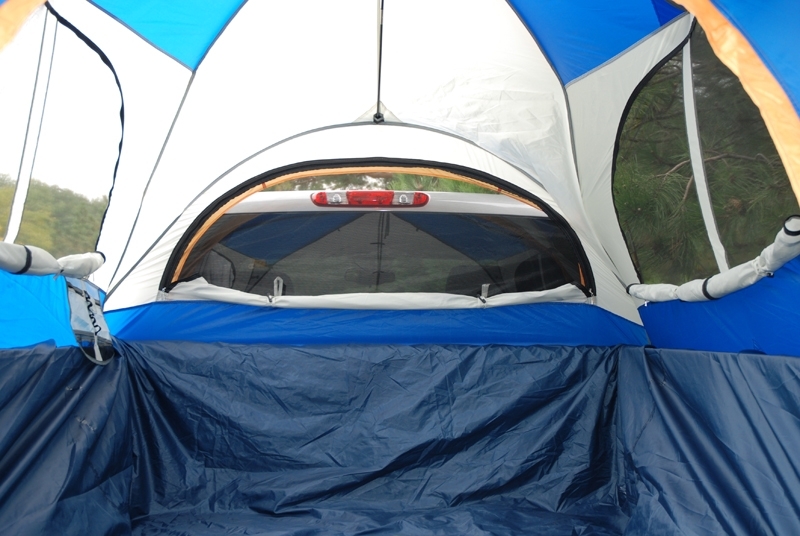 A 6-ft. x 6-ft. canopy creates a protected storage area for bulky gear and plenty of shade. 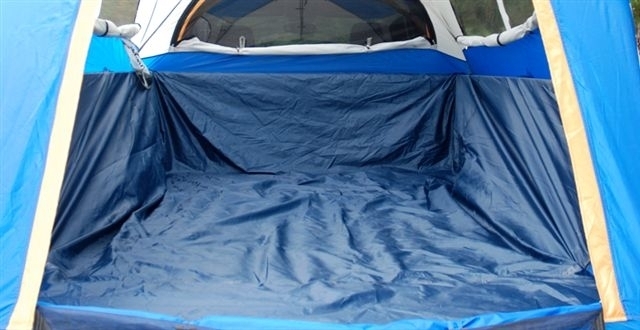 Durable, polyester exterior and full rain fly with taped seams have 1200mm of waterproof rated coating to keep you dry even in the wettest weather. 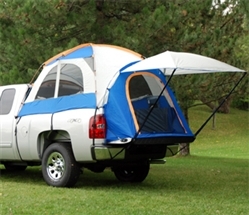 Access sleeve lets you run electrical cords from the cab of the pickup to power lights and other appliances. 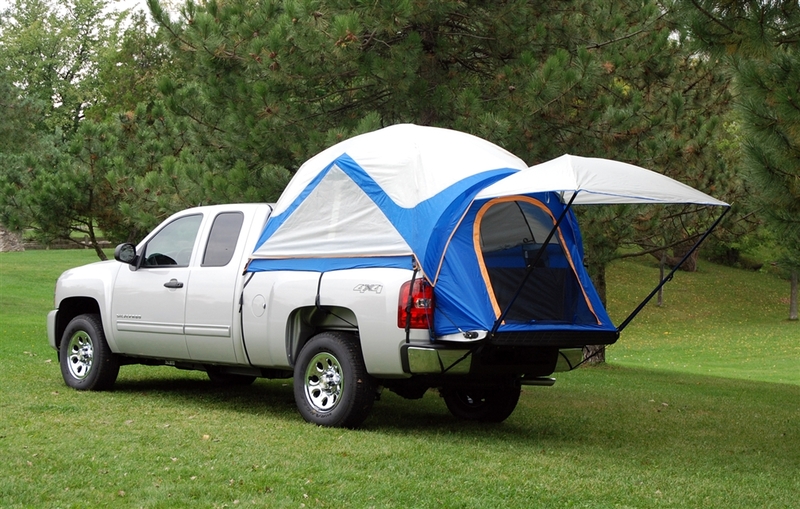 Two interior pockets and a gear loft keeps your gear organized and off the ground.